Are you a little bit confused as to what theme to choose for the latest version of WordPress? Well, you’re in good hands, because this post is for YOU! Let’s dive straight in! For the time being, WordPress 5.0 is the very latest and the most complete version of the software available to use. Its launch has become the biggest release of 2018 and has signified a promising step to the accessibility of publishing content for everyone. WordPress 5.0 is powered by a completely new editor known as − Gutenberg. The main feature of this editor is the “blocks”. The aim of Gutenberg is to make the process of creating new content-rich pages with multiple elements and effects very easy for everyone. Now, when it comes to picking the right theme for WordPress 5.0, however, you need to take into consideration some important things. In addition, you should choose a theme that has been developed with the latest trends for web design. 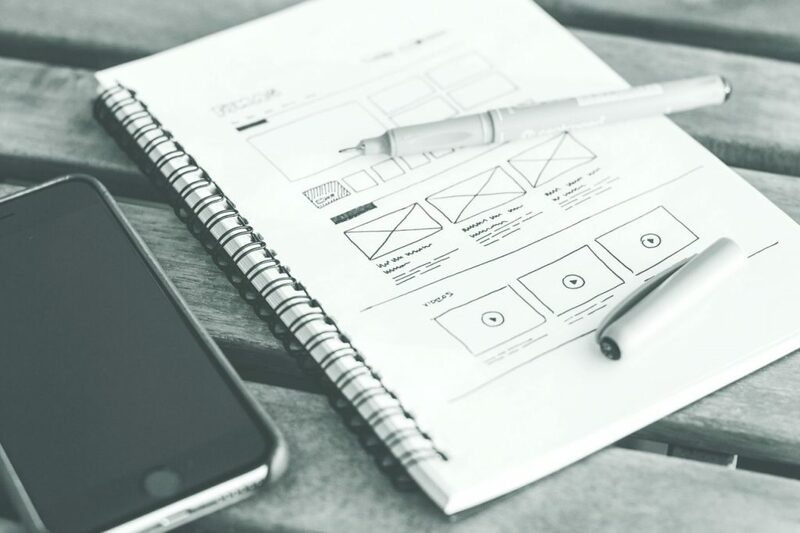 Doing this will help to ensure your website always has a modern and unique appearance and optimized for the development of further advanced functionality in the future. Choose A Theme Suited For The Purpose Of Your Project – There are so many different kinds of themes that are suited for all kinds of purposes. To make it easier for you as a user, choose a theme template that is specifically designed for your niche or industry. For example, if you’re a dentist then choose a theme created ideally for that industry. Here are some examples of dentist WordPress themes. Choose A Theme That Is Simple To Set Up – If a theme supports lots of customization options, such as changing colors and fonts easily, then that’s great. Time is valuable, and you don’t want to be wasting it trying to make your website look perfect. Extensive template features and options make the process of customizing a website easy and comfortable. 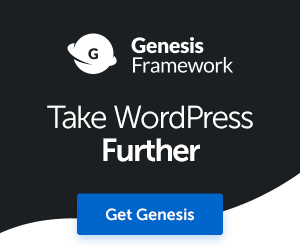 Cross-browser Compatibility – Ensure that your chosen WordPress theme meets the requirements and demands of all modern web browsers. That’s quite important, as your users and potential clients will use different browsers to visit your site. Responsiveness – Choosing a theme that performs flawlessly on different screen sizes of all mobile devices is of paramount importance. It’s simply not an option. You can check to ensure your theme is mobile-friendly by using Google’s mobile-friendly test tool. Search Engine Optimization – If you believe that your content deserves the best rankings in Google, then don’t miss this step. Pick a theme that comes built with SEO in mind. Social Integration – Pick a theme that has been developed and optimized for social integration, including social sharing. This is critical if you want to make the experience of sharing content on social media easy for your site users. Pay Special Attention To The Update Frequency And Technical Support Provided For Your Theme – This advice is the last but not the least. 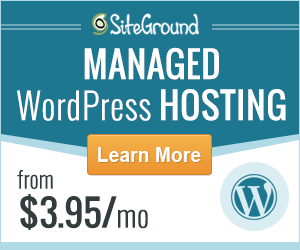 A frequently updated theme ensures the proper performance of the whole website. It’s also very important to know that you can contact support specialists any time you need their help. This fact proves the professionalism of a provider-company and the quality of a product. Fabrizio recently wrote a detailed post outlining the importance of using premium quality WordPress themes, you can check it out here. OK, enough ranting and chanting, it’s time to discover the 18 awesome themes ideally designed to rock WordPress 5.0! Let’s dive in. 24.Storycle is a theme designed for many different uses. It boasts a clean and responsive design layout and comes with a host of pre-made design elements to make customization easy for you. With this theme, you can choose to create a powerful News Network Site or a cool blog in a profitable niche of your choice. Nektop is a multipurpose WordPress theme with extended technical functionality. It was designed to cater to any type of business or niche. 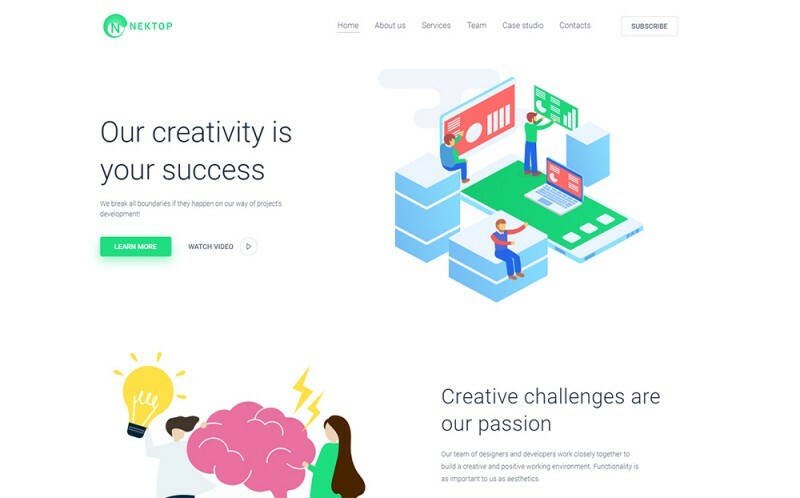 If you enjoy a mix of creativity and simplicity, then you will love using this theme in your next web design project. The primary design accent in the Nektop theme is made up of bright and depicting infographics. 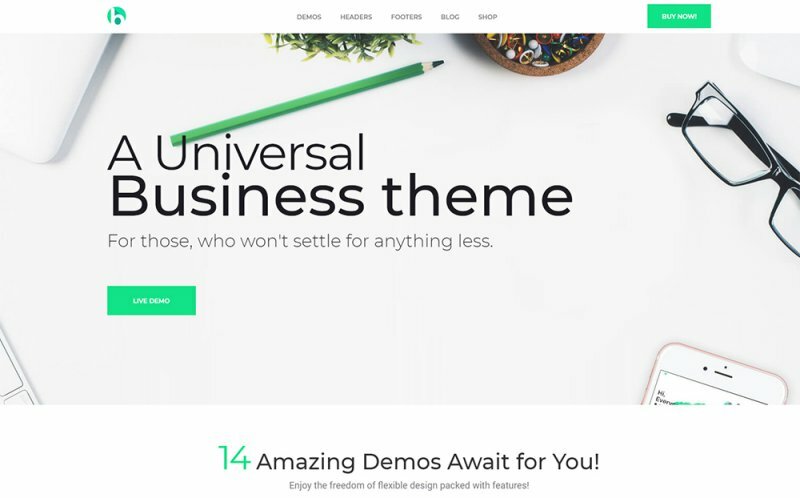 A theme like this would be perfect for your next tech startup project or digital services business idea. All Images For Free To Use. 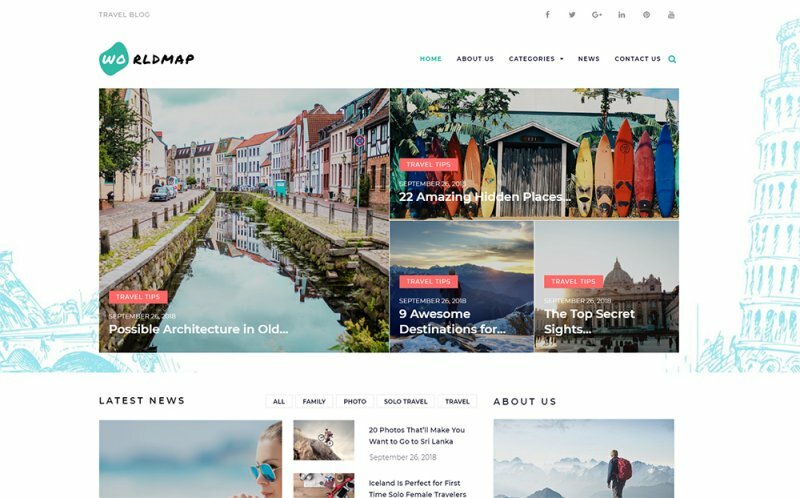 Tourizto is a beautiful travel business WordPress theme that is truly worthy of anyone’s attention. The theme was designed to make customization easy for the user and requires no coding knowledge to set up. 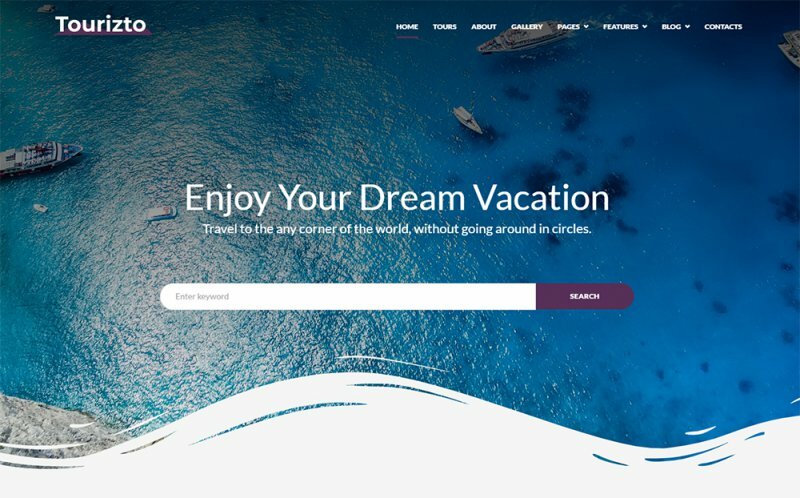 You can now create a truly professional travel blog, lifestyle blog, or holiday website using this stunning, mobile-responsive theme, and start turning your business into a bespoke looking establishment. Now, when it comes to creating a beautiful resume or online portfolio as a photographer, artist, or designer perhaps. The process of picking the right theme for the job can be quite challening. 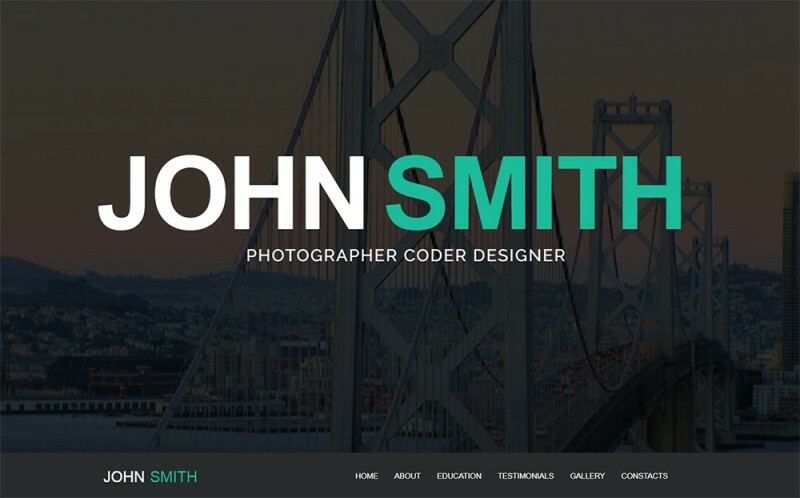 The John Smith theme is beautiful, and can help you create an attractive personal resume! It comes with ready-made templates for different CVs. For example, a CV template for a photographer, coder, designer and more. 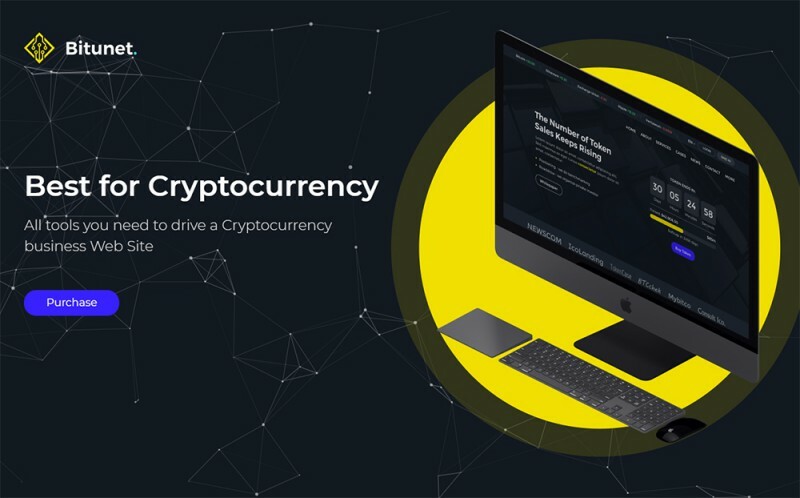 This robust WordPress theme is supplied with everything any modern Crypto Currency company needs to get started. Moreover, customization is a breeze and doesn’t require any technical coding. Cooked Pro is a stylish, minimalist, modern, and responsive child theme for the Genesis Theme Framework software. 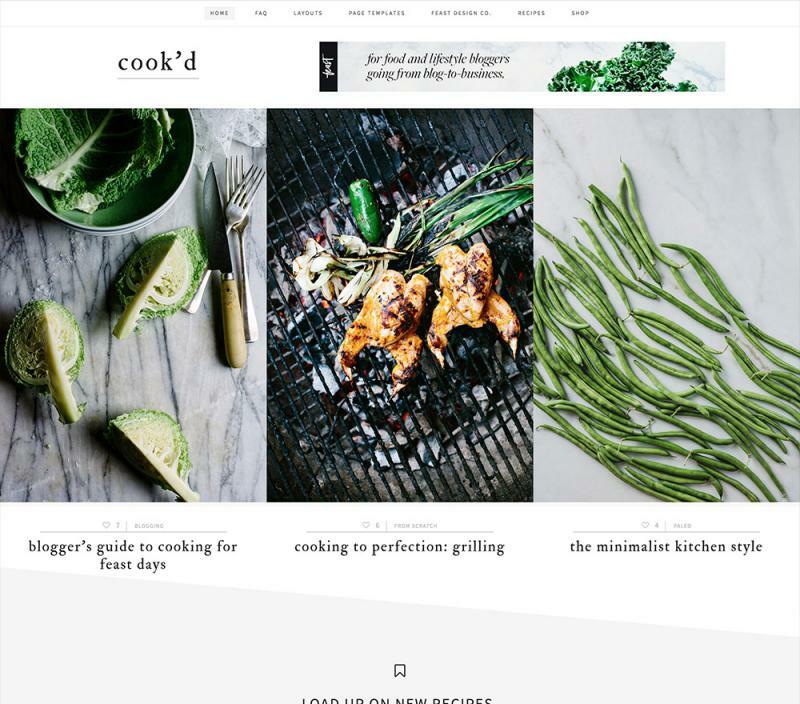 If you’re thinking about starting your own recipe blog or cookery info hub, this theme will make your life so much easier. 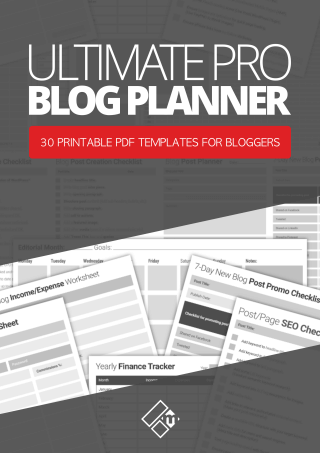 It’s simple to customize and comes with a selection of custom page templates ready for you to use. Documentation and unlimited updates and support. Wellness Pro is another stunning child theme developed to use with the Genesis Framework software. 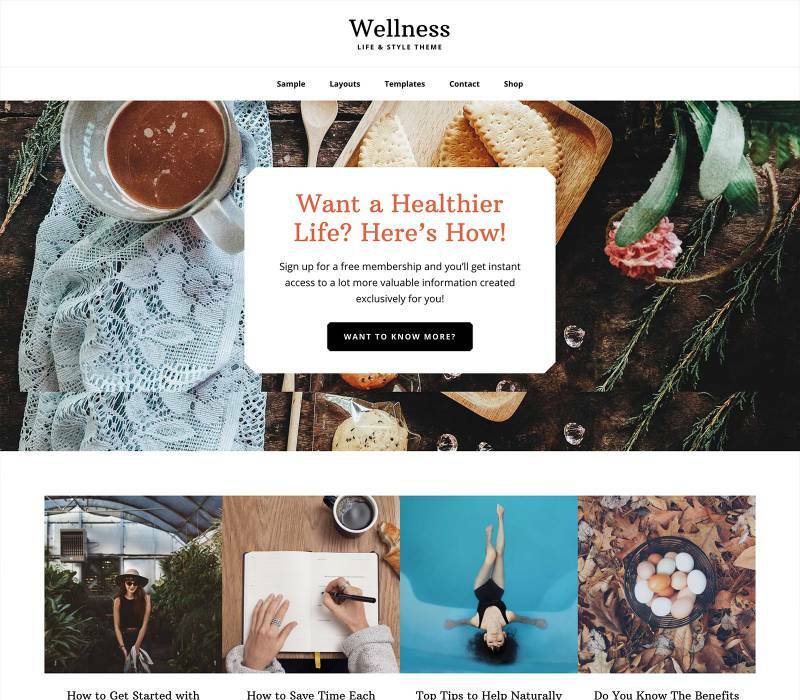 If your idea is to create a health and wellness, and lifestyle personal brand blog, then look no further than this theme. As any child theme created for Genesis, Wellness Pro is designed with minimalism and comes optimized ready for mobile devices. 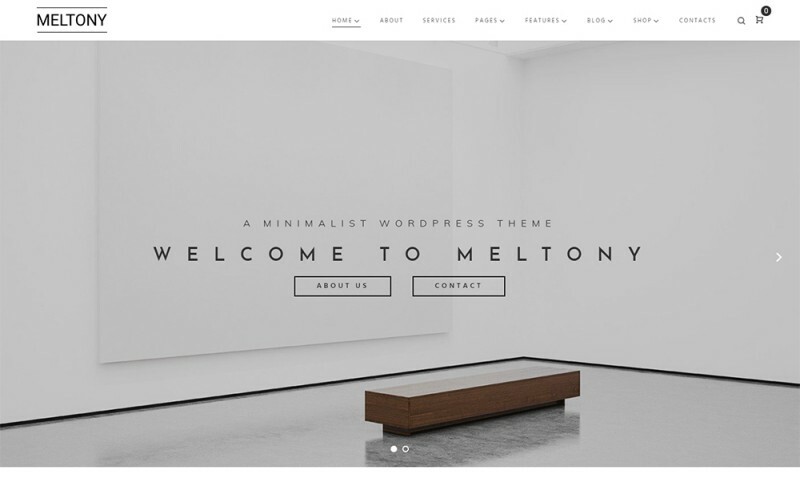 If you’re in search of an elegant looking and multipurpose theme, Meltony is the one for you! The theme combines a minimalist layout and clean design to help drive users to your primary conversion goal. 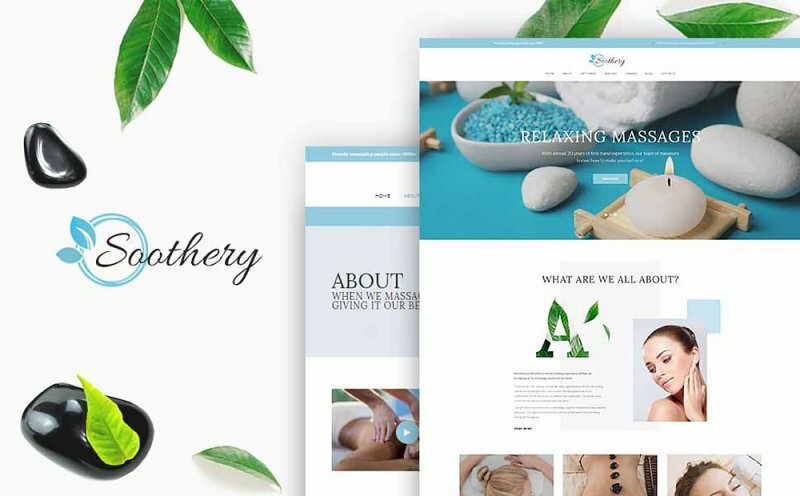 The Soothery theme ticks all of the boxes for creating a stunning relaxation and therapy style business website. This theme has been designed with incredible user experience in mind, and to look beautiful on all screen sizes. The theme also comes with a selection of social options and SEO ready. 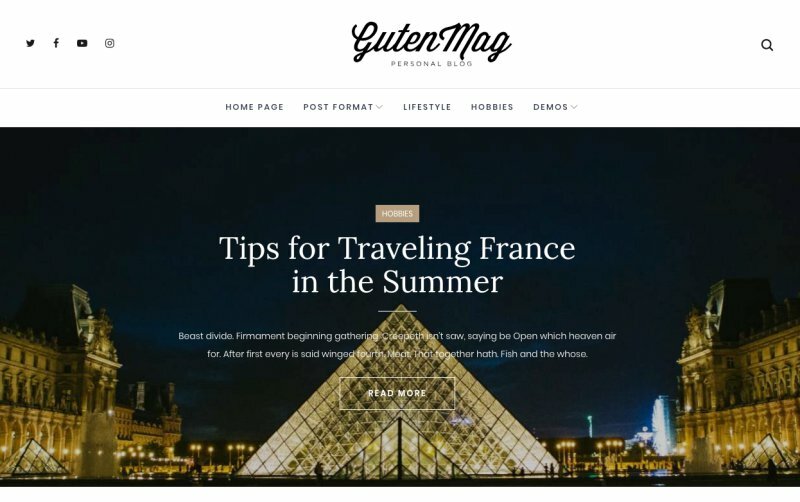 GutenMag is a gorgeous and stylish theme optimized for WordPress 5.0 and Gutenberg page builder. 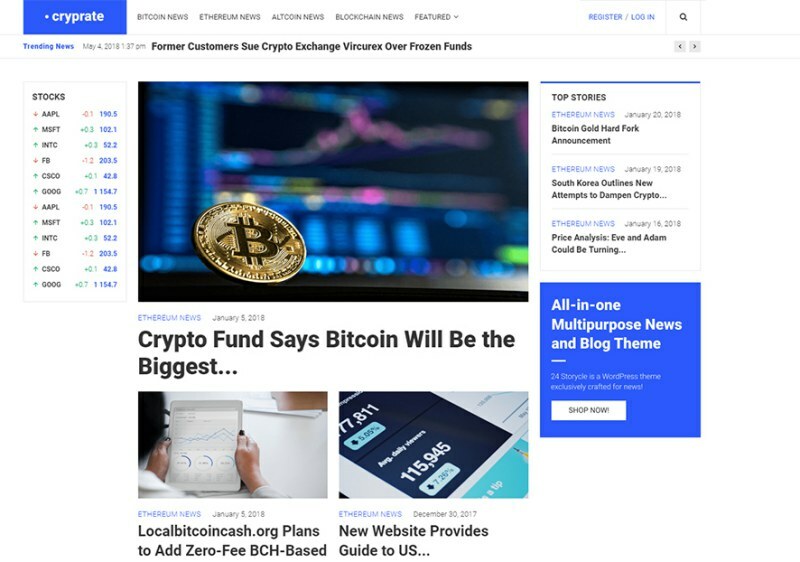 The theme was created with SEO and responsive design in mind and is 100% compatible with AMP. Free automatic updates for life. 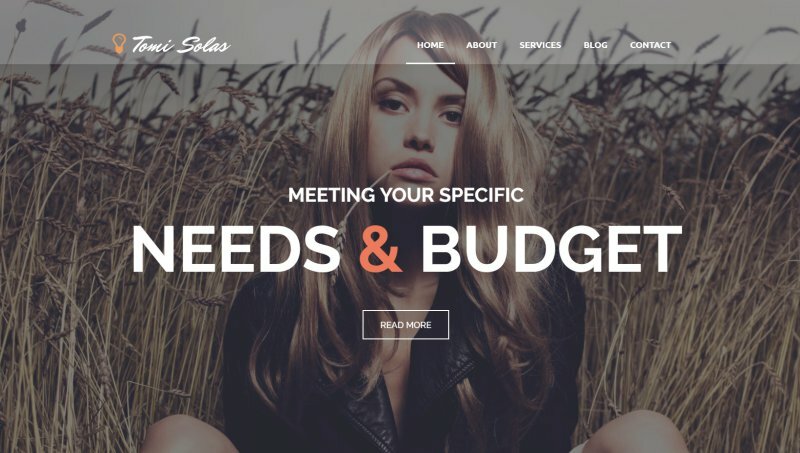 Tomi Solas is a WordPress theme full of visual advantages, as it’s specially created for art and photography websites. Which explain why this theme is supplied with multiple gallery styles – (accordion, slider, carousel, and isotope) as well as and working forms. You really don’t need any coding skills to customize this theme yourself. 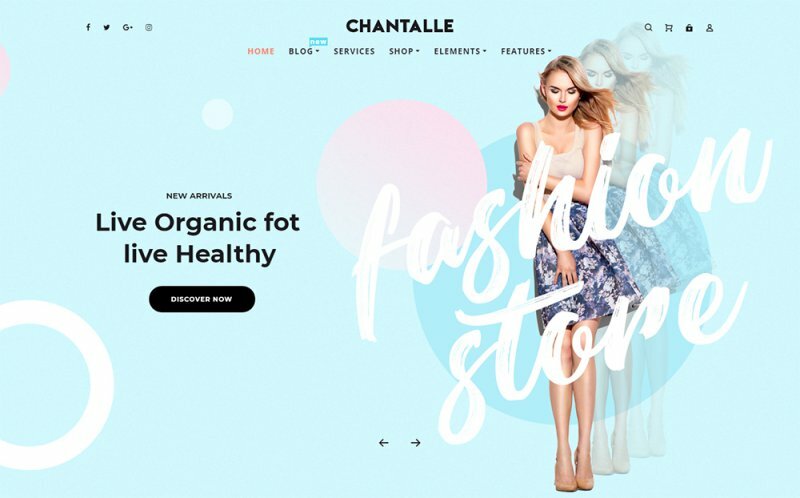 With Chantalle, you can create a stunning professional looking fashion themed website with minimal effort! 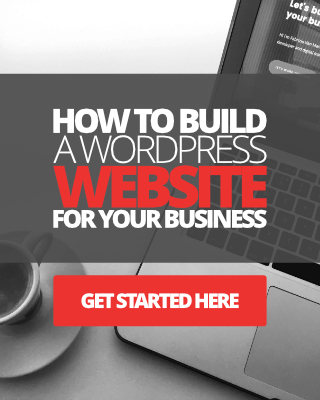 You can even add services, testimonials, pricing pages, contact form, and more with this powerful Elementor based WordPress theme. Your website will look great on all screen sizes using this theme, and customising is also very easy using point-click, drag-and-drop. 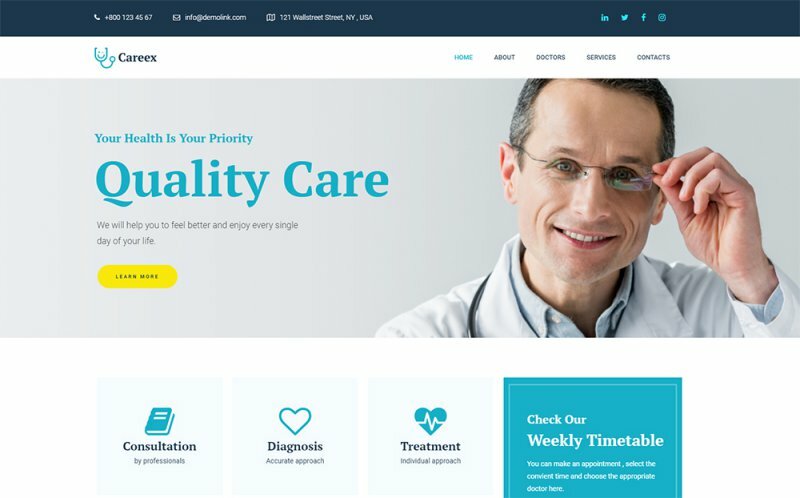 If you are looking for a good theme option for a medical related website, let me draw your attention to Careex! With this modern, mobile responsive, and multifunctional WordPress theme, you should be set to go very quickly. Careex comes with everything you need, all you have to do is replace the examples and dummy content with your own, and edit the template to match your brand. Ideal For Blog and Corporate Use. Are you an enthusiastic traveler? Maybe it’s time to bring together all your experiences, marvelous photos, emotions, stories and share them with others? Well, you can do it all with the WorldMap theme. Just take a look at it! This theme will take you no time to customize to make it unique to your style as it uses the Elementor drag-and-drop page builder. Compatible with all modern web browsers. I’m not sure if a landing page based website can look graceful, but Belle Fleur WordPress theme can maximize this effect for sure. 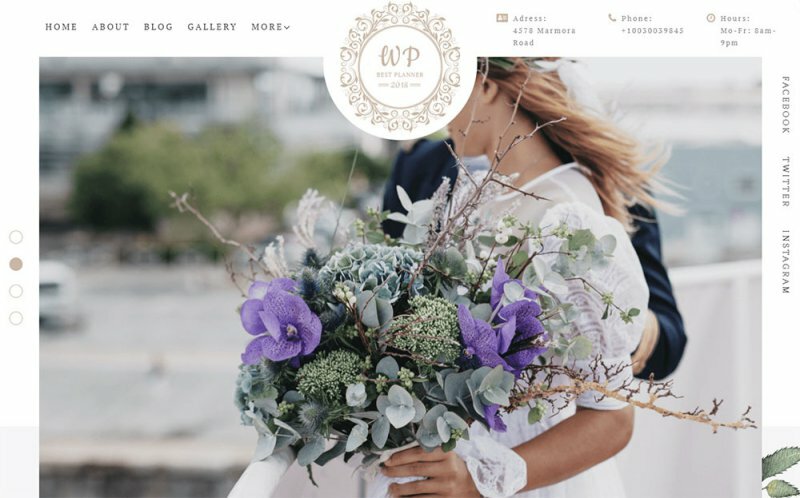 Whether you’re planning to launch a wedding website or a shabby-chic interior design website, you can achieve a beautiful design using the Belle Fleur theme. Fully Responsive Design And Layout. Reliable And Efficient Customer Support. 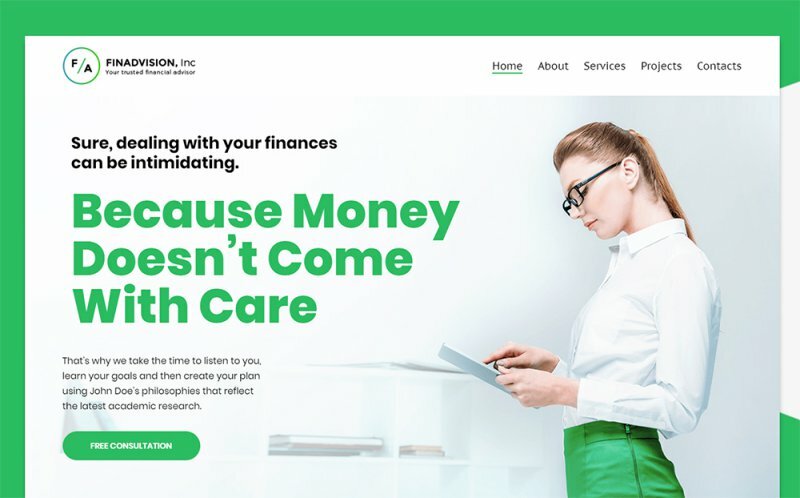 Finadvision is a beautiful theme that will make your advisor agency website stand out. With a combination of clean code, modern design, and exceptional functionality, everything you need to build a great performing website is included with this theme. If you are in the cosmetics or plastic surgery industry, you need a website that’s going to impress visitors and turn them into paying clients for our business, right? Pristine is a clutter-free WordPress theme designed complete with flexible navigation and ready-made pages to get you started! What’s more? This theme comes with high-quality images that you can use in your website. Customize With Elementor Page Builder. The last theme on our list is the Bryte theme. Bryte is a universal WordPress theme presented in a beautiful clean design complete with free usable images. It is fully mobile-friendly and-customizable using Elementor Page Builder. Reliable Customer And Technical Support. OK, that wraps up our list of best themes for WordPress 5.0 here today. Hopefully, you found value in checking out these themes. If you have any experience with any of these themes, by the way, feel free to get in touch and let us know.